The future of eCommerce has arrived. And from every measurable standpoint, China now towers above North America and Europe. Within the data, demographics, and directions there lies a vivid portrait of how the world will soon shop. Three trends mark the way forward, reshaping eCommerce along the lines of mobile, social, and logistical advancements. Applying these trends to your business isn’t so much about entering Asia’s growing markets, though that possibility is quickly becoming a reality. The real opportunity is found in balancing China’s present innovations to unlock the future of commerce, now. Don’t have time to read the full report? No problem. Given this article’s depth and length, you can download its entirety as an ebook to save for later or share with colleagues. 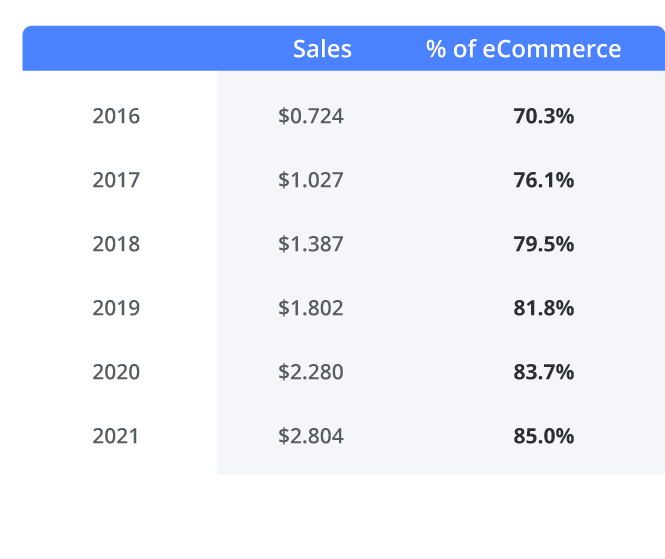 As of 2017, worldwide B2C eCommerce sales totaled $2.3 trillion. Of that, $1.48 trillion — 64.6% — was generated in Asia Pacific. 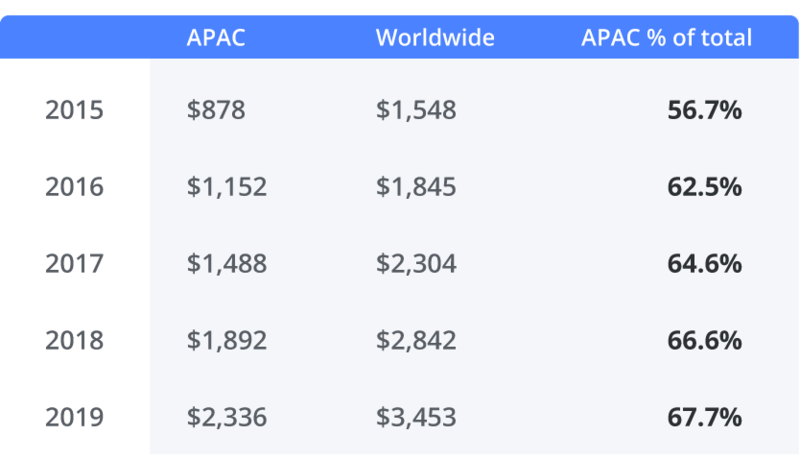 Due to APAC’s above average compounded growth rate, projections from eMarketer expect nearly 70% of the world’s eCommerce to be produced there by 2019. Narrowing the focus to China, online retail has developed at a staggering rate, eclipsing eCommerce in the rest of the world as well. Five years ago, China’s eCommerce market was valued at $285 billion. 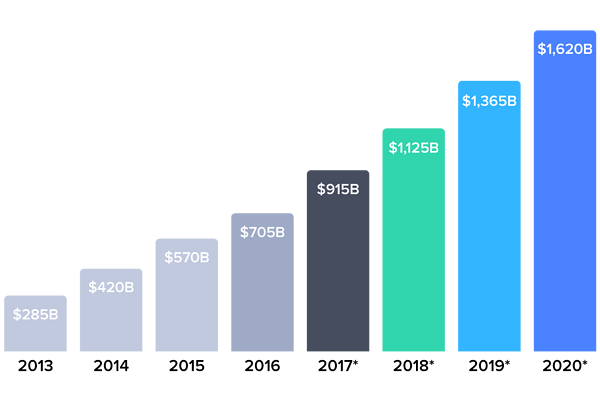 Today, it’s an estimated $1.13 trillion and that number is forecasted to rise to $1.62 trillion by 2020. 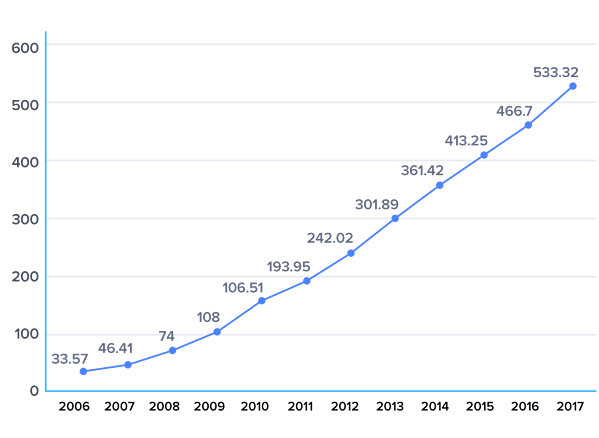 Using 2013’s $285 billion as a starting point, that equates to 468% growth in less than a decade. China alone commands a larger eCommerce market than both Western continents combined. From a numerical standpoint, much of this is due to a combination of China’s total retail market size and its eCommerce share as compared to other leading countries. Add to this the fact that Amazon has reached 80% market penetration in the U.S. while Alibaba sits at roughly 50%, and you have a recipe for continued exponential growth in the years to come. Still, sheer scale is just one part of the larger equation. That confluence has given birth to over 772 million online users and 533 million online shoppers across the country. Naturally, large-scale socio-economic trends have their place. Tier 1 cities — representing the nation’s most developed areas — are at the cutting edge of online and mobile commerce. Tier 2 cities and below are increasingly spending across mobile, WeChat, and Alibaba. In top-tier cities, 83% of people aged 13 and older are online, totaling an online shopper base of 183 million. Among those users, 89% of people already shop online. With 160 million people in lower-tier cities using online services but not yet shopping online, their total online shopper base still surpasses high-tier cities at 257 million. 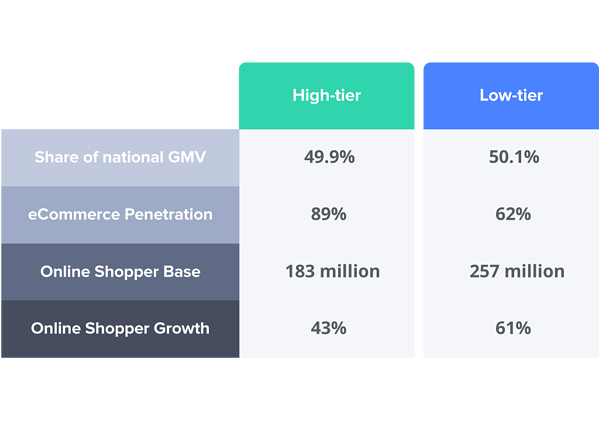 These tiers have created two Chinas when it comes to eCommerce: (1) a top-tier China and (2) a lower-tier China that closely foretells the future of global commerce. In top-tier cities, eCommerce adoption is almost complete. As a result, the focus is on refining the understanding of customer behavior through data to increase the frequency and average order value from existing shoppers. In Tier 1 cities, for example, 40% of healthcare purchases, 36% of luxury purchases, and 20% of apparel purchases are from international suppliers. With the formalization of import procedures and value-added tax (VAT) on cross-border products, Chinese consumers are likely to purchase products from international vendors that are difficult to obtain locally, rather than to find better prices on domestically-available goods. With the steep increase in online shopping across all regions, Chinese consumers now have greater access to overseas products. Twenty percent of digital consumers buy goods from vendors outside China. For eCommerce businesses hoping to tap into the Chinese market, the focus for product ranges should be on scarcity rather than price point, as VAT on imported goods will likely make it difficult to match prices on goods that are already available domestically. Tapping that market is not the focus of this guide. 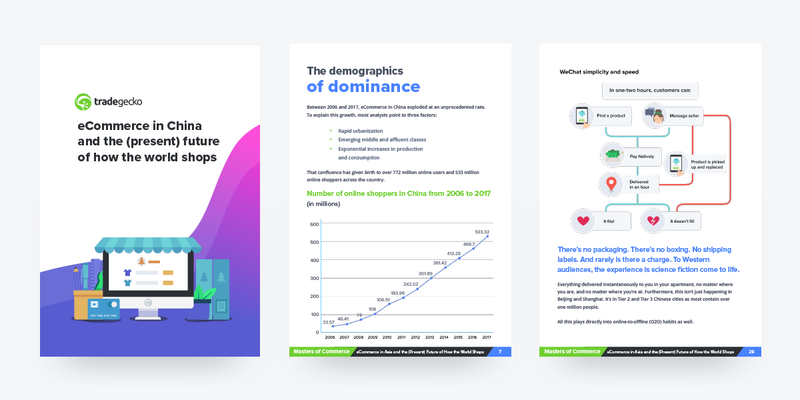 Our aim is to understand how the shape of eCommerce in China foretells the future of commerce for the rest of the world — namely, three trends: mobile, social, and logistics. What can Western businesses learn from all this to capitalize and prepare for the future? In lower-tier cities, the emphasis is on driving adoption by integrating entertainment and eCommerce through applications accessed predominately through mobile devices. The danger in examining these directions is twofold. First, oversimplification: assuming that as China goes, so too will the world in some sort of one-for-one fashion. Second, timing: when it comes to innovation, being too early is just as bad as being too late. The Asian market — and, most notably, China — leapfrogged over three technological innovations Western countries are still very much controlled by. These jumps enabled Chinese consumers to skip over (i.e., fast-forward past) multiple generations of development. Each leap corresponds to a specific trend and profitable applications of those trends must be balanced with that knowledge. Despite its initial explosion — 70.3% year-over-year growth in 2016 — mobile commerce the APAC region is predicted to still grow above 20% annually driven by increased spending and millions of new consumers from smaller cities and rural areas entering the market. In China, consumers already use mobile devices to buy everything from organic foods to luxury cars. Fifteen categories, from snacks to financial services, will reach 40% penetration within the online shopping market, compared with just five categories in the US. 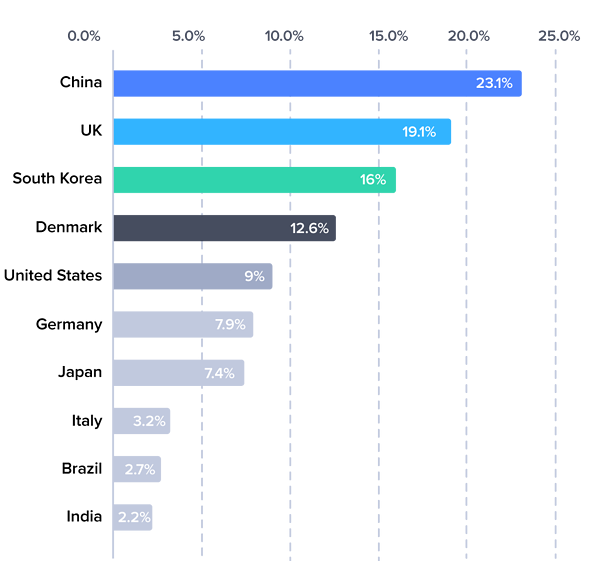 While growth in mobile usage is slower in most other countries compared with China, the trend toward mobile shopping is increasing across the board. In addition, prior to the eCommerce boom in China, physical retail was less developed in comparison to other markets, enabling eCommerce to become the default shopping behavior. For instance, 71% of consumers are already using online-to-offline services such as click-and-collect ordering and online restaurant bookings. Of those, 97% say they will use the same or more O2O services in the coming six months. Offline shopping is complementary to online buying rather than the other way around. Because for the average consumer in China, East Asia, and most other parts of Asia Pacific, mobile was the first and native interaction with eCommerce they had. Lack of infrastructure and access compelled Asia to adopt a mobile-first approach to the internet as a whole. As a result, communication (messaging apps like WeChat), entertainment, and eCommerce merged. 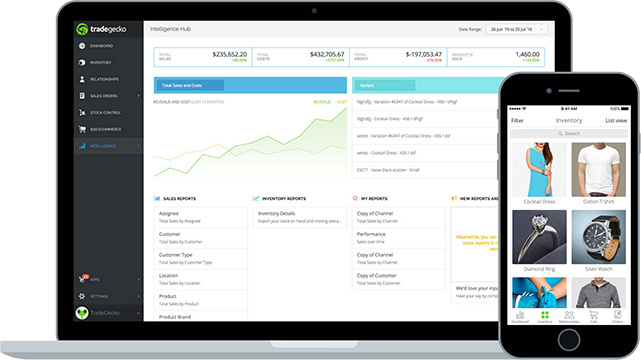 Browsability, discoverability, and payments; it’s all there. In fact, it’s all there and more. After all, the act of transitioning between different websites - as is common in Western countries - isn't as good as an app when it’s on a phone. Analysts expect that 85% of all online shopping will be done on mobile devices by 2021 in Asia. 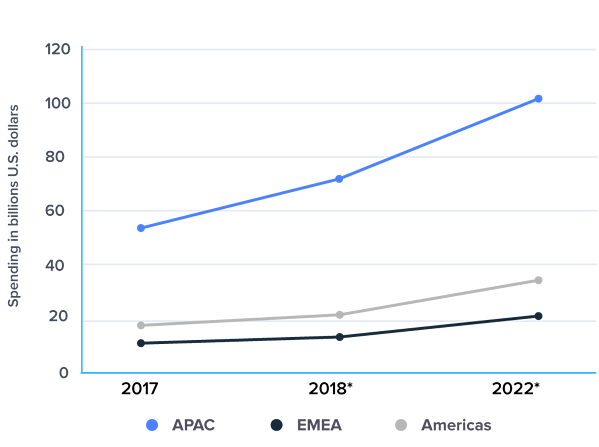 In the US, that projected number is 53.9%, making 2021 the first year mobile spending will outpace desktop. The United States is not a mobile-first economy nor will it become a mobile-dominated economy for at least another generation. This leaves eCommerce businesses in an awkward position of both serving traditional buyers through full-screen experiences as well as making mobile buying as easy as possible. On this front, two lessons stand out. 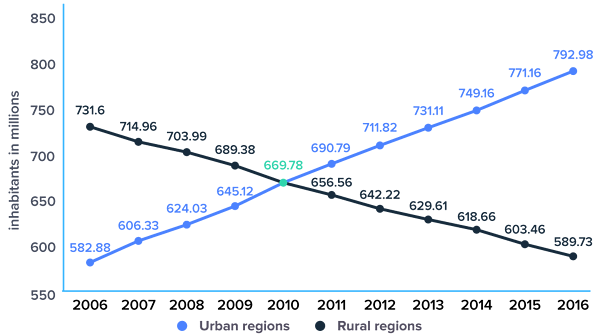 For independent eCommerce stores, mastering product discovery can be painful. 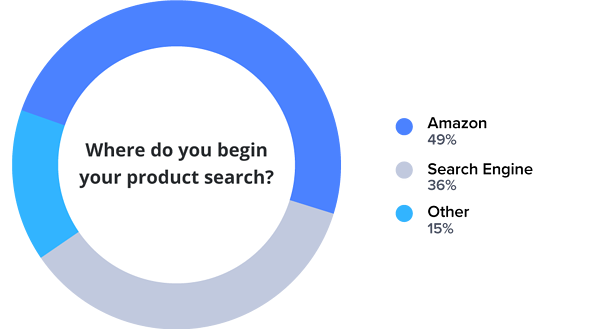 According to the 2018 Mary Meeker Report, 49% of product searches begin on Amazon and 36% begin on a search engine (primarily Google). If someone’s searching for a product — especially if it’s a generic category, like fungible t-shirts — their motivation is rarely more pointed than: “I don’t really care what type of t-shirt, as long as it’s black.” On mobile, this motivation for ease is even intense. Worse, where Alibaba is a marketplace, Amazon can also be a competitor, having created over 100 private label brands built off the back of their customers sales data. Businesses in North America - as well as Europe - must develop cautiously symbiotic relationships with marketplaces like Amazon lest those relationships turn parasitic. By creating branded experiences through vendor accounts, cross-marketing post-purchase, staggering onsite exclusives with fungible staples listed on marketplaces, businesses can profit from the native mobile usability of Amazon while still protecting margins and growing their own consumer base. Amazon has solidified its position by being familiar. Their mobile experience is a monument to usability. Once a visitor makes the move from a marketplace to eCommerce store, mobile responsiveness is mere table stakes. This includes the usual suspects like prominent onsite search with error tolerance and visual merchandising built in, light-weight and mobile-friendly product pages, as well as simple navigation. But far and away, the single greatest pain point for mobile shopping are payments. Many eCommerce stores offer near-one-click options — like Apple Pay, Google Pay, PayPal, and Amazon Pay. Instead, checkout experiences must be monitored for each audience’s preferred payment style. By eliminating choices and only offering those that overlap with previous behavior, purchasing becomes easier. In the case of existing accounts, two-factor authentication — in essence, two clicks — is all a shopper should have to encounter to complete a purchase. Launched in 2011 by Tencent to cannibalize QQ — the original Chinese messaging app — WeChat is now one of world’s largest standalone mobile apps in both the social network and messaging app categories. Given their shared ownership, WeChat and QQ make Tencent the undisputed king of global connections. Dubbed the “app for everything,” WeChat became the soil in which the rest of the country and continent rooted communication. In many ways, WeChat followed an inverse — though no less dominate path — as Alibaba. First designed as a B2B platform, over time Alibaba morphed into a B2C marketplace and entertainment hub. Today, China’s consumers spend on average almost 30 minutes a day on Alibaba’s Taobao, nearly three times longer than the average US consumer spends on Amazon. In the US, customers come to Amazon with a high purchase intent. Conversely, Chinese customers consider Alibaba to be more of a “virtual mall” they visit to first be entertained and then shop. Alibaba provides services to help eCommerce wholesalers and retailers directly connect with shoppers through games, videos, online communities, news, and even celebrity events and talk shows. In this way, shopping can be considered a pastime rather than a means to an end. And a similar path has emerged on social media. In one recent study, fully half of all Chinese consumers reported using social media to research products or find recommendations. In another, 31% of WeChat users said they used the platform to initiate online purchases — double that of the previous year. 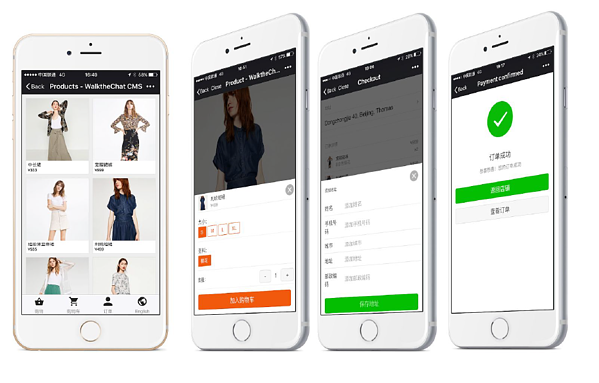 Among WeChat shoppers, apparel and personal care are the most popular categories, accounting for about 25-30% of online spending. 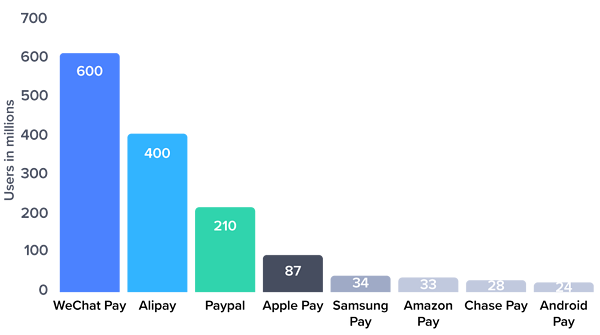 When those categories are combined, they make monetary transactions the single largest activity on the platform. In Western nations, social media is second only to search in terms of advertising dollars. But, native social commerce has yet to emerge as a mainstream buying option. Intense competition drives constant innovation by Chinese retailers; brands are forced to experiment and respond to shifting demands and conditions at far greater speeds. Products are also more widely spread across news sites, gaming, videos, and social with click-to-buy product placements at every step. Every experience — and, therefore, every purchase — is made through either a messaging app or a marketplace. This amalgamation would be like Uber, Google Maps, Amazon, Facebook, Instagram, YouTube, and more living together in one app. Or, at most, two to three. After an initial flurry of media coverage, Twitter shut down its buy button in 2017. Also in 2017, YouTube eliminated non-skippable pre-roll ads longer than 30 seconds, began heavily driving users to Red as an ad-free subscription, and still doesn’t offer in-video buying. Facebook’s buy button has been on-again off-again, and most Facebook Shops send visitors onsite, despite native purchasing options. When unveiled, Pinterest’s Buyable Pins claimed to “change eCommerce,” but revenue data continues to point toward advertising as the network’s primary value. Simply put, brands that try to force "native" commerce into current social media platforms are in for heartache. On one hand, Chinese adoption of social media as a shopping medium shows that social will be paramount in online shopping elsewhere as countries develop more sophisticated eCommerce markets. On the other hand, the trials and tribulations of social networks to convert users into buyers must be taken seriously by businesses. The trap is to fall victim to innovation for innovation’s sake. Just like shiny-object syndrome in real life, shiny-button syndrome on social can spell disaster. 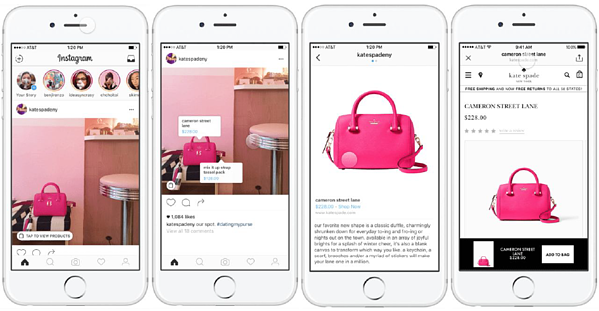 Nonetheless, there is a significant opportunity for eCommerce brands that leverage social media through highly targeted advertising to tap into new markets and engage with customers. Looking forward, online retailers should prepare for their products to be surfaced through social media rather than being centralized on their website. This will require a holistic digital marketing strategy that takes into account a diverse set of online channels. Mastering that diversity is paramount to success by following a guiding principle: honor the intent of your target market on each platform. 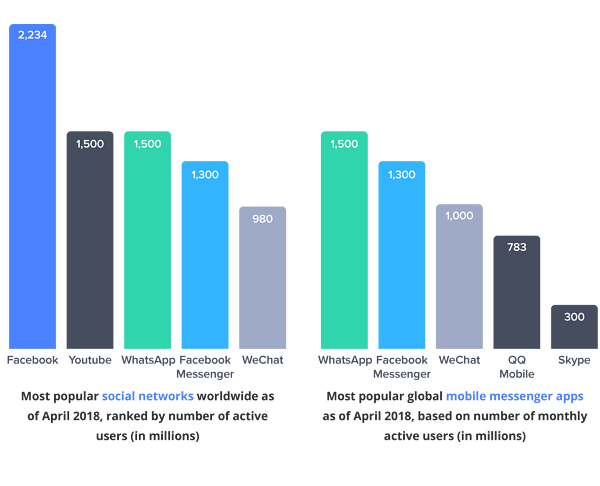 Conversely, Facebook is ripe ground for product-page-level retargeting and new customer acquisition through small-to-medium audiences based on competitors, interests, and geographies. Pinterest is a repository of visual inspiration and perfectly suited for product recall. 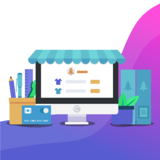 And while the temptation is strong to leverage messaging apps as the latest and greatest opportunity for generating fresh sales, they lend themselves far more to rescuing abandoned carts and sending personalized recommendations based on past purchases. No company should ignore innovations, but instead rigorously test native buying options as they become available as well as stream-based platforms and online communities, like Stitch Fix for fashion, Houzz for home goods, and Kik for millenials and younger. Shipping and fulfillment are hardly the sexist topics in eCommerce. Acronyms like 3PL, OMS, IMS, WMS, FBA, etc. cloud what is a perennial truth: the moments that matters most in online shopping — to customers and businesses alike — all take place offline. For customers, logistics are like cosmetics: outside of rare, delightful exceptions, noticing logistics means something has gone wrong. For businesses, especially growing businesses, managing the back office can feel like a constant struggle with issues pulling them away from the very passions that made them want to go into business in the first place. How do logistics in East Asia point towards the future? More importantly, what role will logistics play in the future of eCommerce itself? To answer both questions, we need to go back to two points mentioned above: first, rapid urbanization and, second, China leapfrogging over a traditional postal service. In the 1950s, just 13% of China’s population lived in cities. In 1990, that percentage rose modestly to 26%. Even as late as 2010, the majority of China was not urbanized. Today, China is home to 156 cities with over a million people, compared to only 10 in the US. In addition, 25 of the world’s largest 100 cities are in China — including six “mega cities” with populations above 10 million. Lastly, some experts believe that by 2030 upwards of 70% of China will live in cities. None of this happened on accident. China’s urbanization was part of a self-conscious and concerted effort to fuel economic growth — both domestically and internationally. Still, why does the Chinese government care so much about building solid logistics infrastructure? If you have a country whose growth has been fueled by export-driven manufacturing through consolidated populations (i.e., urbanization), per-capita GDP increases while competitiveness declines. In that setting, internal markets must also be accelerated such that your entire economy — and, therefore, quality of life and GDP — doesn’t decelerate. Accelerating internal markets means accelerating consumerism: not just more and better ways to purchase consumer goods online but more, better, and above all faster ways to receive those goods offline. Those “lagging” elements are quickly being brought up to speed. In addition, estimates place the total number of domestic shipping competitors in the thousands. Private firms — most notably, Shentong Express and S.F. Express — have cut into traditional leaders. While China Post EMS is still the largest firm in the Chinese delivery, the company’s market share fell 10% in 2015 from nearly 60% in 2007. Densely populated cities like New York, London, and Los Angeles, are catching up with same-day delivery. Meanwhile, China has mastered same-hour delivery. Moreover, you can’t discount the fact — explored above — that from the consumer’s perspective, all this done on WeChat, WePay, or some equivalent. Customers find a shop, converse with the owner or a bot representative, and place their order without doing anything more than click a button. For fungible products, purchases turn up within an hour. 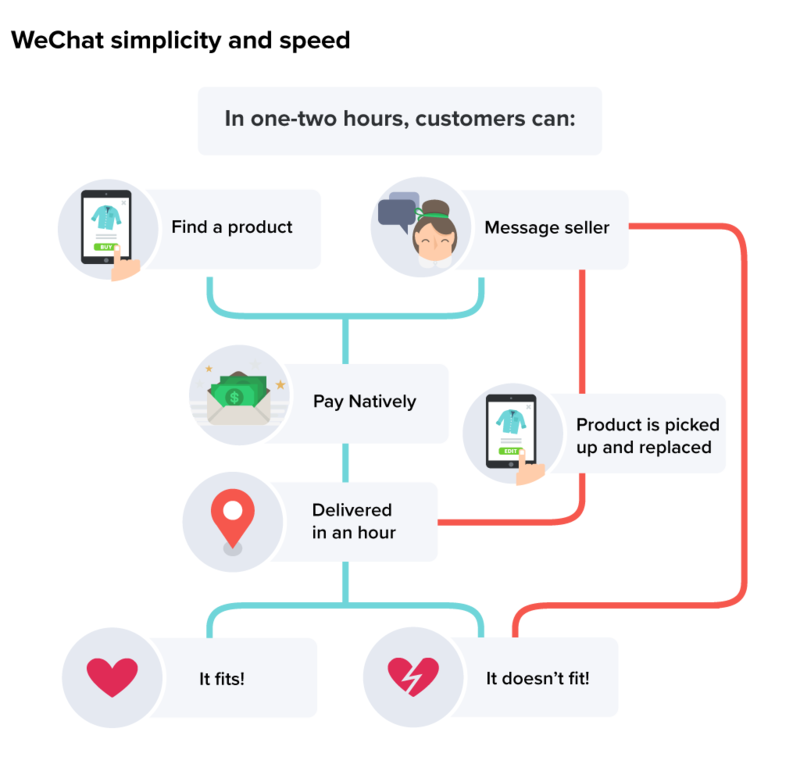 If something doesn’t fit, you return the product using the same socially integrated platform and ten minutes later someones picks it up with an exchange. There’s no packaging. There’s no boxing. No shipping labels. And rarely is there a charge. To Western audiences, the experience is science fiction come to life. Everything delivered instantaneously to you in your apartment, no matter where you are, and no matter where you’re at. Furthermore, this isn’t just happening in Beijing and Shanghai. It’s in Tier 2 and Tier 3 Chinese cities as most contain over one million people. All this plays directly into online-to-offline (O2O) habits as well. Seventy-two percent of consumers want O2O services to offer a way to return products purchased online to a physical store, while 56% want to order goods online and pick them up in-store. They are also looking for offerings in three primary O2O categories: entertainment (61%), healthcare (47%), and housing or care services (42%). Even restaurant and travel companies are reacting to the demand for online-to-offline services, with 67% of consumers using O2O dining services and 77% of survey respondents reporting that their spending on travel increased as a result of using O2O travel services. As a logistical ecosystem, China has learned to do something at scale that, to be honest, no other country in the world will need to do. Nonetheless, solidifying your business’ place at the intersection of mobile and social commerce likewise demands a future-looking orientation to logistics as well. For many businesses in Western nations, Asia and China are viewed as one part threat, one part new market. With North America and Europe's positions of market leaders having already given way, neither of those two views tell the whole story. Instead, the data, demographics, and directions of commerce in China should also be understood as a portrait of how the world will soon shop. Applying these trends isn’t so much about entering Asia’s growing markets. It’s about using them as guideposts to future-proof how you market, sell, and deliver your products now and for years to come.